In this quick guide, I’ll show you how to send a message to several people at once on WhatsApp though the “broadcast list” – which is different from groups. Why not just use a group? The answer is simple: if you create a broadcast list, no one will know that the message has been sent to others. A broadcast list is helpful when you don’t want to let the recipients know that you have forwarded the same sent message to others. It’s like the “bcc” function (blind carbon copy) in emails. 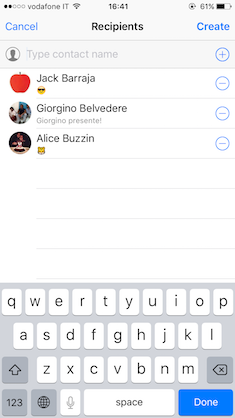 On the iPhone, open the chats list and click the Broadcast Lists button at the top right under Edit. 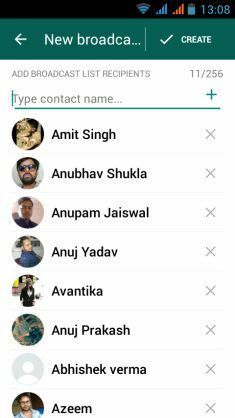 Then tap on New list at the bottom of the broadcast list and enter the names of the contacts you want to send the message to, or press (+) to pick recipients from your contact list.